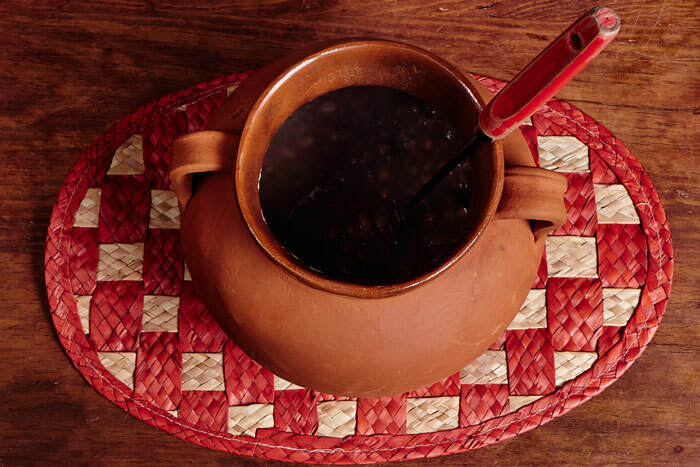 Frijoles de la Olla, which translates as “beans in a pot“, is probably the most common dish in Mexico. Beans along with corn and chiles are the foundation of Mexican cooking. Every family has a pot of beans on the stove or in the refrigerator at all times and almost every meal includes beans. 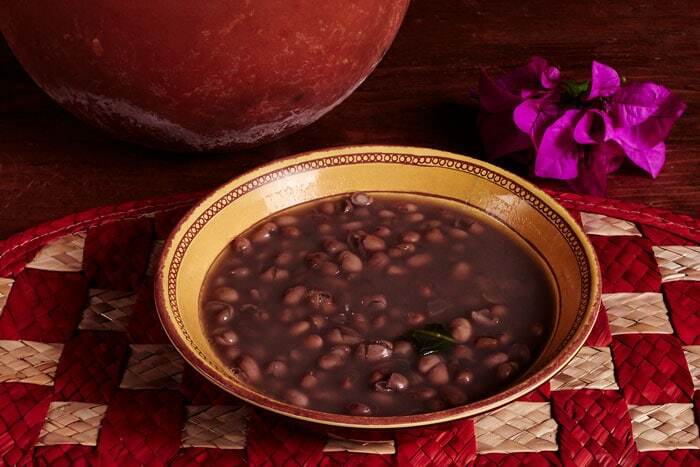 Frijoles de la olla are the basis for refried beans and are used in many other Mexican dishes. The beans we used to make frijoles de la olla are Flor de Junio, or “June Flower,” a creamy, delicious variety eaten in Central Mexico. They may be difficult to find locally, but, you can buy them online through Rancho Gordo Heirloom Beans. Their Flor de Junio beans are grown by small farmers in the state of Guanajuato under the supervision of the Rancho Gordo-Xoxox Project. Beans vary greatly in taste and texture. Be adventurous and try as many different varieties as you can. 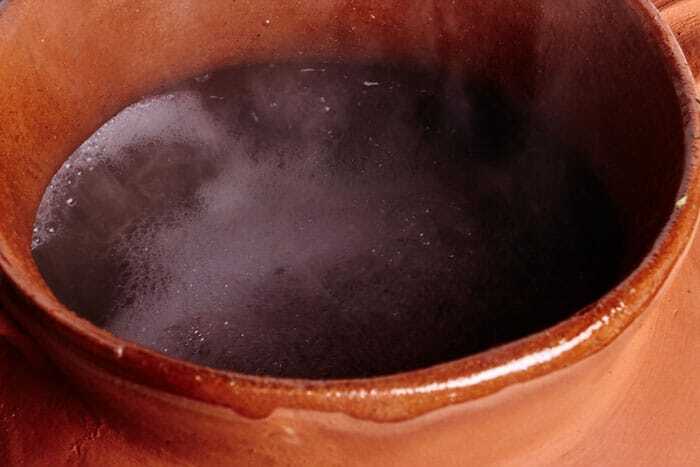 We recommend cooking your beans in a clay pot, called an “olla” in Spanish, which adds an earthiness to the flavor. But, don’t worry if you don’t have one. Beans taste great cooked in any type of pot. A slow cooker is another great way to cook beans. Set-it and forget-it and 8 hours later you have a perfect batch of beans. The clay cooking pot makes an impressive serving dish on the table. 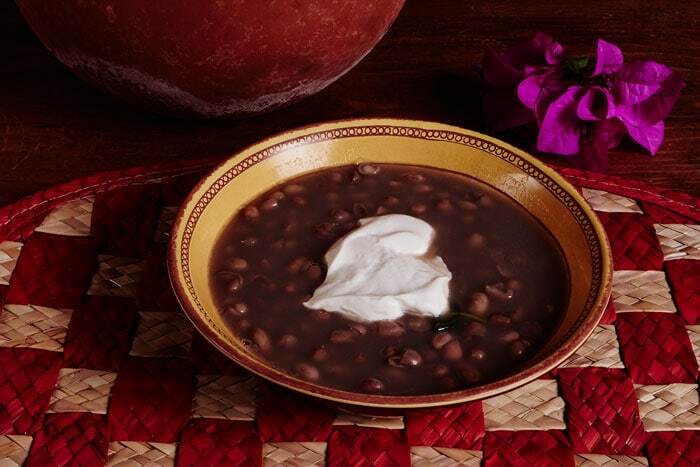 Serve a bowl frijoles de la olla as a simple lunch with a stack of hot corn tortillas to dip in the broth. Serve as a side dish for just about anything. Serve with a dollop of fresh Mexican cream. Serve with chopped onion, cilantro and serrano chile. Use the beans to make tacos de frijol or as a garnish for beef tacos. Use the beans to make the sauce for enfrijoladas. 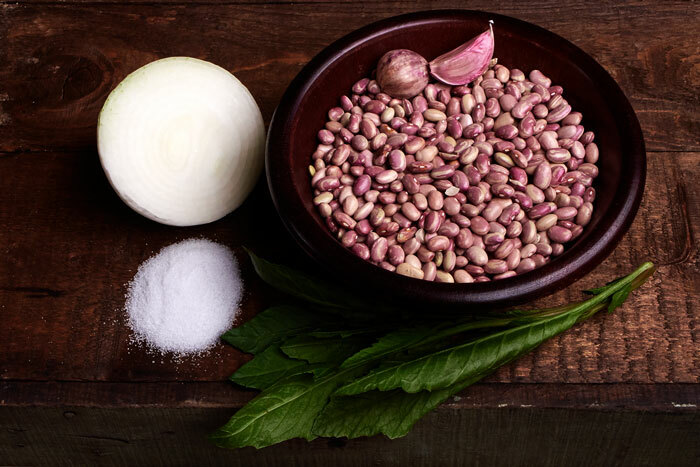 Try this bean recipe for Frijoles de la Olla, which translates as "beans cooked in a pot," probably the most common dish in Mexico. Beans are one of the foundations of Mexican cooking. Check the beans for any stones or debris. In a colander, rinse the beans under cold water. Place the beans in the cooking pot and cover with 3 inches of water. Allow the beans to soak overnight. Add cold water to cover the beans by 4 inches. Add the ½ white onion and 2 cloves of garlic. Simmer the beans for 2 hours. Taste the beans to verify that they are fully cooked and soft. If they are not soft enough cook for additional 30 minutes. Cooking time is approximate. Some beans need more time to fully cook and others need less. A slow cooker or pressure cooker are a great ways to cook beans. Beans will keep for up to 5 days in the refrigerator. You can freeze them but it will change the texture. Buy your beans from a market that sells lots of beans. Fresh is better. The older the beans the tougher they will be. You make make frijoles de la olla with pinto beans, black beans, flor de mayo or flor de junio beans. If you can't find epazote you can omit it or substitute Mexican oregano. The oregano changes the taste slightly but is still very good. Great recipe by the way. I made something similar but I doubled up on the ingredients! When does the epozote go in ? With the salt? Thanks! What about adding jalapeno or serrano peppers, garlic, cumin and bacon or pork to them? Does that make the beans more “Americanized”? I am looking to make the most perfect pot of beans! Adding peppers and bacon would make the beans more like “frijoles charros.” Here is a good recipe. (http://www.mexicoinmykitchen.com/2011/12/charro-beans-soup-recipereceta-de.html) “Frijoles de la olla” is the most basic way to make beans and they often serve as the base for other dishes. So, I thought why not try to make authentic frijoles and share the recipe with her. Thank you. I’ll post the end results….